After weeks of gloomy days, we are finally getting sunny warm days. This inspired me to make some icy treats for the family. 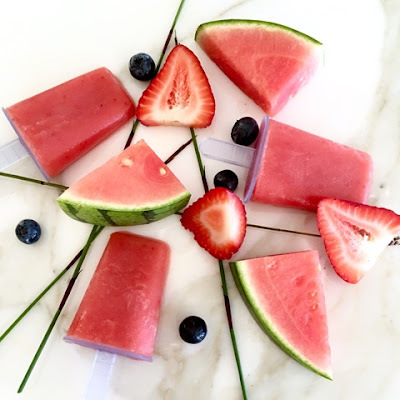 I am not against little man having some sugar or store bought pops but with berry season in full swing, these are so easy to make at home and I can control the sugar content. We are all about smoothie in this house since little man is rather picky with his veggie and fruits. But with a smoothie, he will drink everything down. I see this as smoothie on ice.